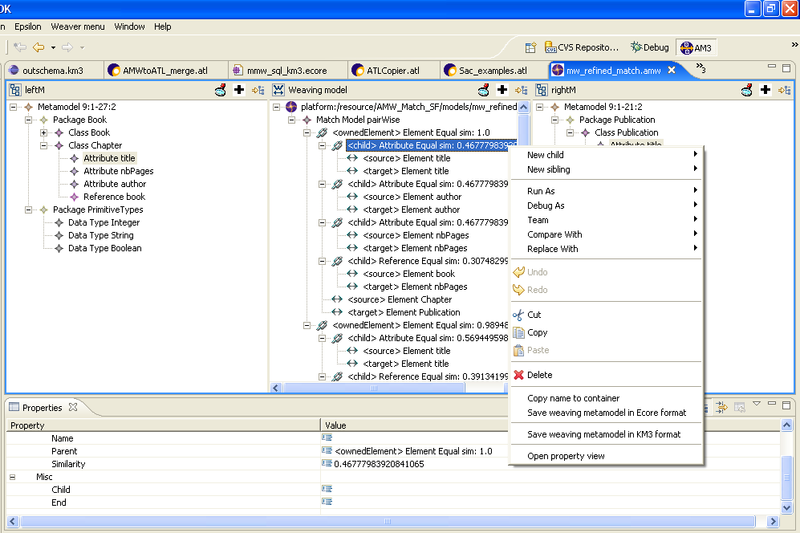 The AMW is developed based on a core core weaving metamodel. 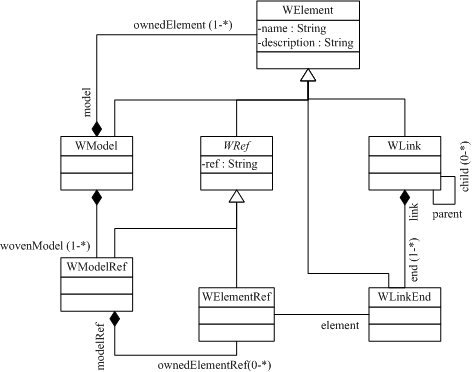 This core metamodel supports basic link management, i.e., n:n relationships between model elements. The identifiers of the referred elements can be saved using different identification methods. The core weaving metamodel is illustrated below. The different kind of semantics of a weaving metamodel are defined in extensions to the core weaving metamodel. The different weaving metamodel extensions can be applied in different application scenarios. Different metamodel extensions are available for download in the Weaving metamodel Zoo. SAC07 Del Fabro, MD, and Valduriez, P :Semi-automatic Model Integration using Matching Transformations and Weaving Models . In: The 22th Annual ACM SAC, MT 2007 - Model Transformation Track, Seoul (Korea), 2007. To appear.